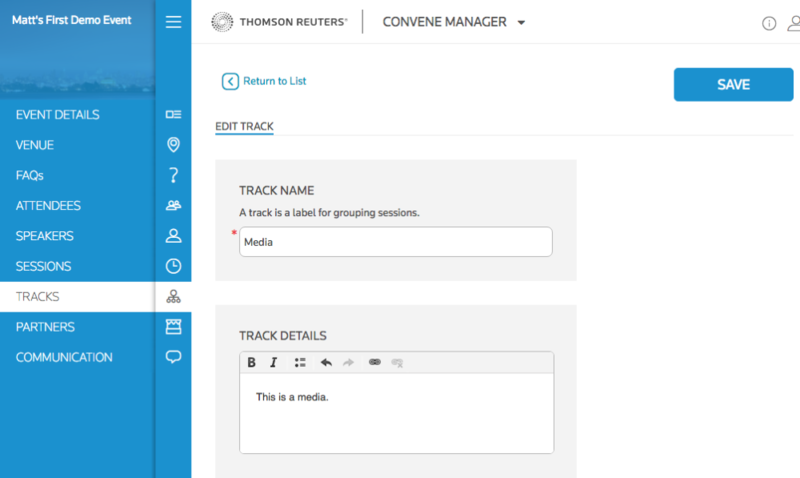 A "Track" (sometimes referred to as "Stream") is a method to group similar sessions. For example, say that you have 10 sessions on "Topic A" and 10 sessions on "Topic B" you might then consider creating a Track for "Topic A" and one for "Topic B" and then associate individual sessions to each Track. This way, attendees can filter on the Tracks that are interesting to them.